I recently had the chance to tour Marlins Park in Miami – a baseball stadium that has been credited with the ending the retro park phenomenon in the United States. Although I will save my thoughts about the stadium and its relationship to heritage for another time (I believe it to be as “heritage” as the retro parks, but I digress), one of the interesting elements of the Park is how art is a central feature – both inside and outside the stadium. Public art and sport heritage do have a relationship, although typically it is manifest in statue form (interestingly, there has been some recent research published about sport statues by this group here). 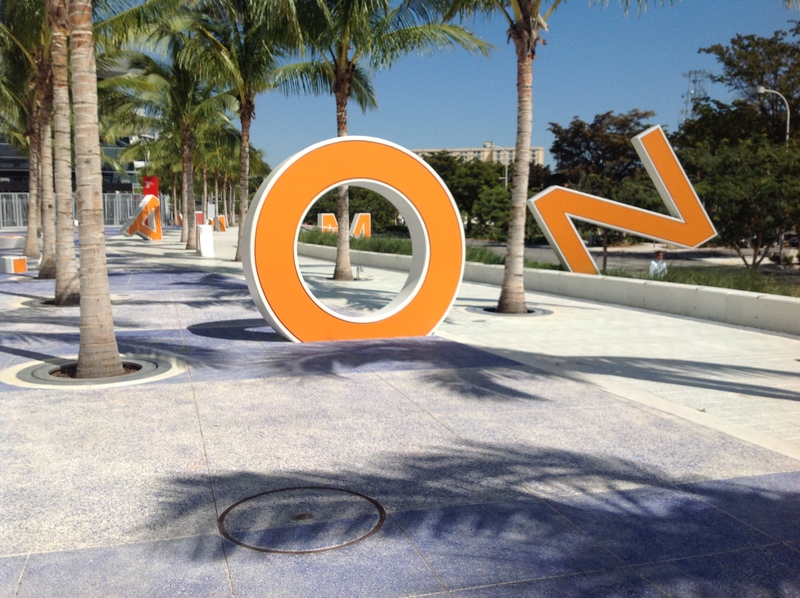 However, Marlins Park took the relationship between sport heritage and art to a different level by actually creating a public art piece from the signage of the Miami Orange Bowl, a football stadium that was demolished to make room for Marlins Park. While it is not unusual for new stadiums to include displays or artefacts from past facilities, to do it in such a unique way (and, for me, a way that was both playful and nostalgic) suggest that sport heritage displays can be artistic and inventive without necessarily being prosaic. By Gregory Ramshaw in Uncategorized on June 13, 2013 . And, for the record, I LOVE the homerun statue!